Months of almost unbroken cold weather made it very difficult to gather sufficient plants in flower, but the positive consequence is that we were able to include many that would normally be over by late April. We had an excellent position at the entrance to one of the two halls, and this was the view that greeted people as they left the cafeteria - one of the few warm places at the show! 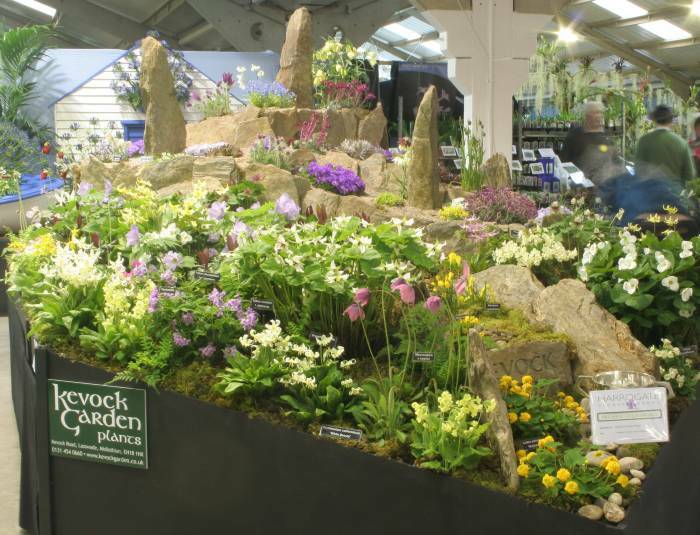 The rocky 'alpine' area was surrounded on three sides by lower areas, but with larger plants - quite tricky to arrange. 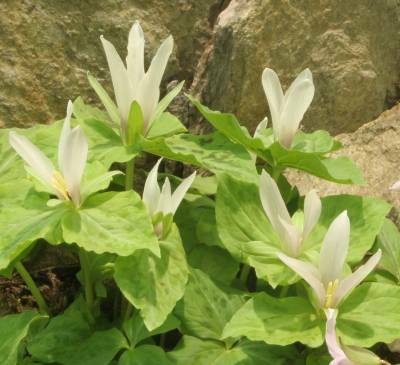 The lower zone was dominated by lots of Trillium, Erythronium and some Glaucidium palmatum that we had managed to persuade to come into flower. (The last of them held out until Chelsea, a month later.) 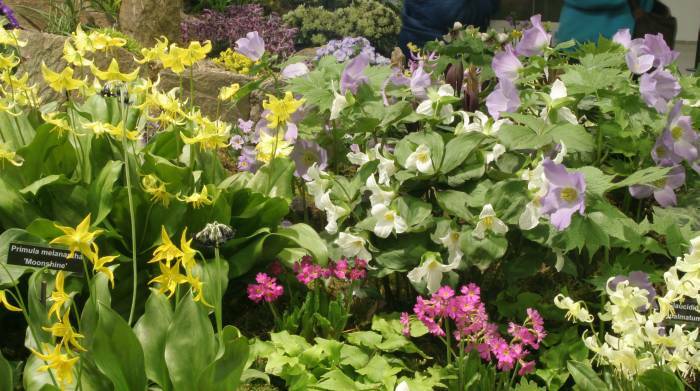 And as always there were many Primula species and varieties. 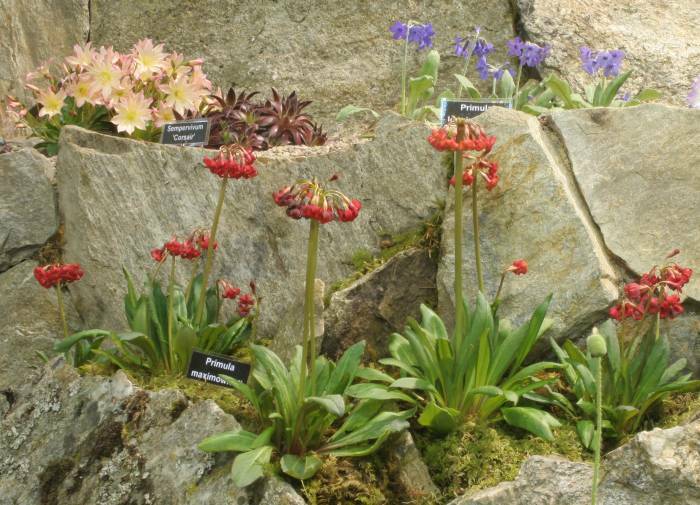 The alpine zone included late-flowering Primula allionii and related varieties, several Fritillaria, Pulsatilla and Saxifraga. 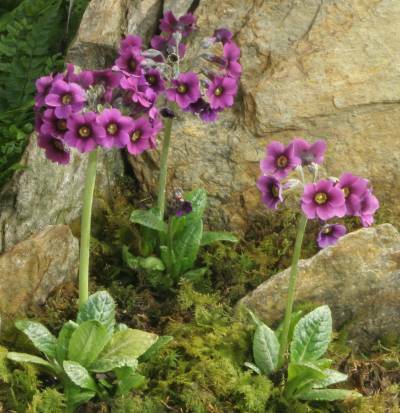 Mossy places between the rocks provided homes for more primulas, including Primula maximowiczii in a range of deep red colours, which proved to be very popular, and the lovely pale bluish purple Primula longipetiolata. Here are a few of the plants that performed at the right time for us. And for the judges; we were awarded a Premier Gold medal, as well as one of the trophies for the top floral displays. 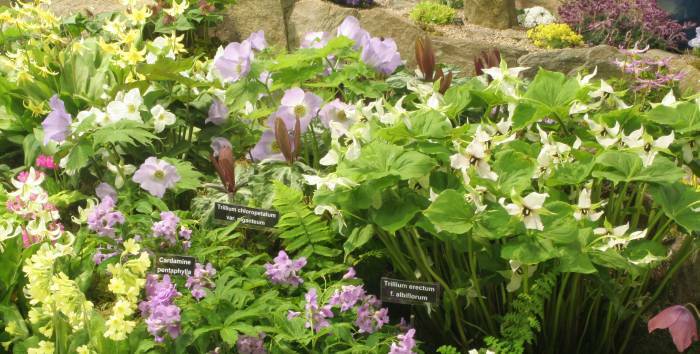 The cool weather continued - so much so that some species of plant featured in all three of our show displays, from late April right through to the beginning of June. 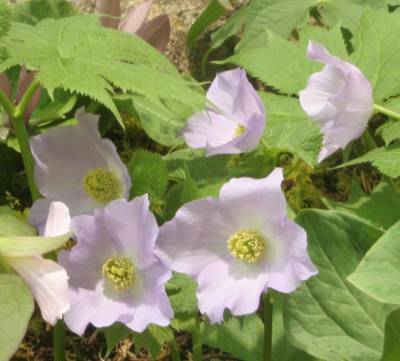 These included Meconopsis punicea, Trillium grandiflorum var. roseum and Primula melanantha 'Moonshine'. 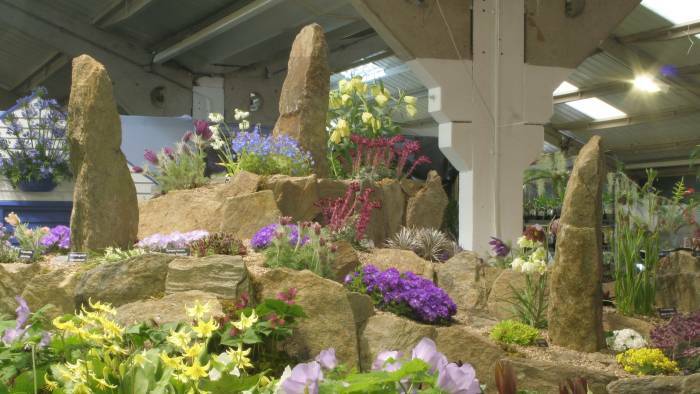 See our displays at Chelsea Flower Show and Gardening Scotland in 2013. You will recognise some of the rocks!